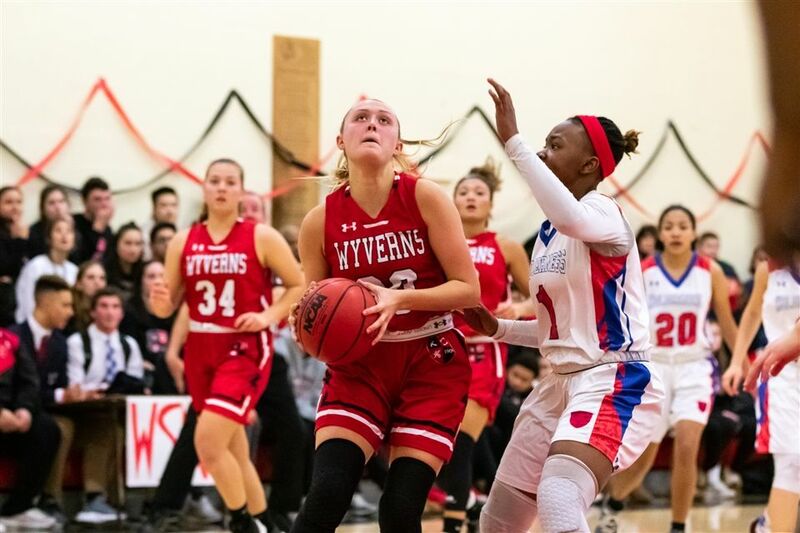 Kingswood Oxford varsity girls basketball senior Jane Dunbar ’19 is the Wyvern of the Week. Dunbar has been playing hoops for over 10 years and has always enjoyed the sport. Your senior season is always special and it’s no different for Dunbar, who has taken on an increased role this season. This season has also given Dunbar a chance to reflect on her career and appreciate what she has been a part of. Not only has Dunbar assumed a bigger leadership role, but she has also grown her game on the court and that has helped her have a bigger impact. With her last basketball game as a Wyvern set for Saturday, Dunbar is going to leave it all on the court and hopefully finish with a W.
“Personally I want to make the most of my last game and I think it would be really cool if we got a win on senior day,” she said.